Blaze! 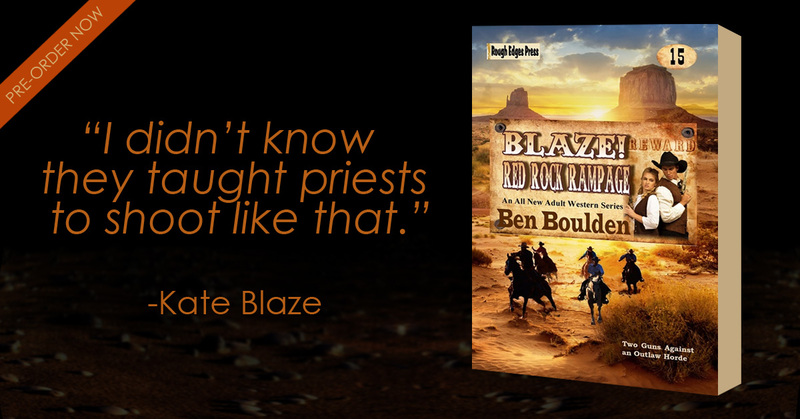 Red Rock Rampage (February, 2017 / Rough Edges Press), is the fifteenth title in the Blaze! Adult Western series. An action western, with a little spice (look out for the rated R content in chapter 9), about husband and wife gunfighters J.D. and Kate Blaze. J.D. is a hard man with an eye only for his alluring Kate. A woman who knows what she wants and is also a fine hand with the iron herself. Blaze! Red Rock Rampage is available as a Kindle book and a trade paperback. Blaze! 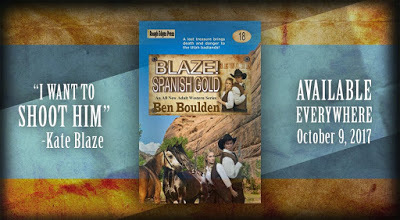 Spanish Gold (October, 2017 / Rough Edges Press), is the eighteenth title in the Blaze! Adult Western series. An action western, with a little spice (look out for the rated R content in chapter 13), about husband and wife gunfighters J.D. and Kate Blaze. Blaze! 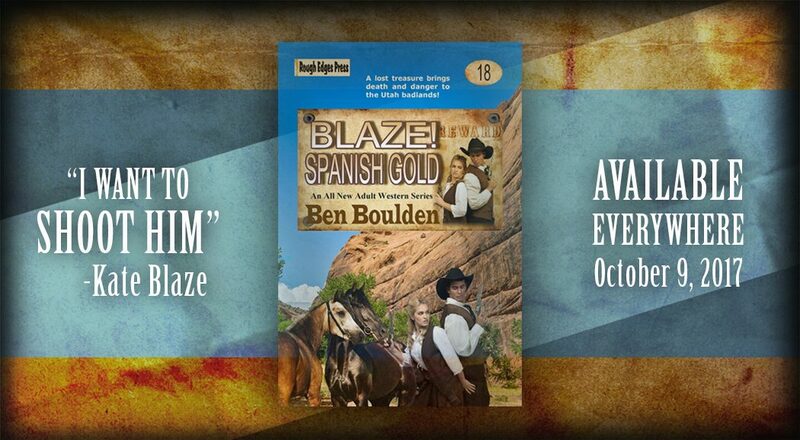 Spanish Gold is available as a Kindle book and a trade paperback. “Reprobate” (March, 2019 / Gravetapping), is a 600 word western short story with a sharp twist and a little humor. “Reprobate” is available to read for free at Gravetapping. “A Calculated Risk” (December, 2017 / Down & Out: The Magazine, Vol 1, Iss. 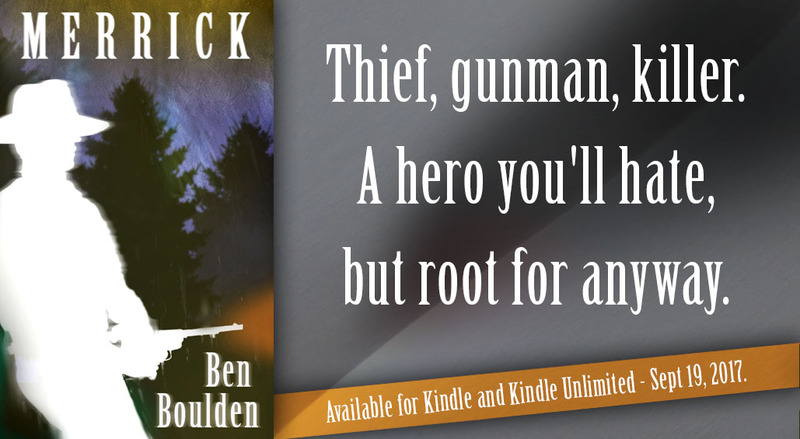 2), is 3,000 word crime noir—bleak and disturbing (perhaps)—with a flavor of revenge and true justice. “A Calculated Risk” is available to read in Down & Out: The Magazine as an ebook or as a trade paperback. “Merrick” (September, 2017 / .45-70 Press), is a 7,000 word short story about a professional criminal roaming the desert Southwest looking for his next job. 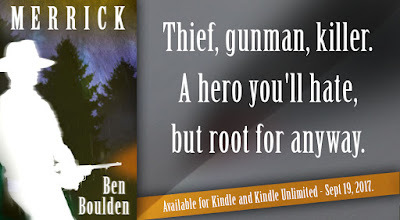 “Merrick” is available as a Kindle ebook.